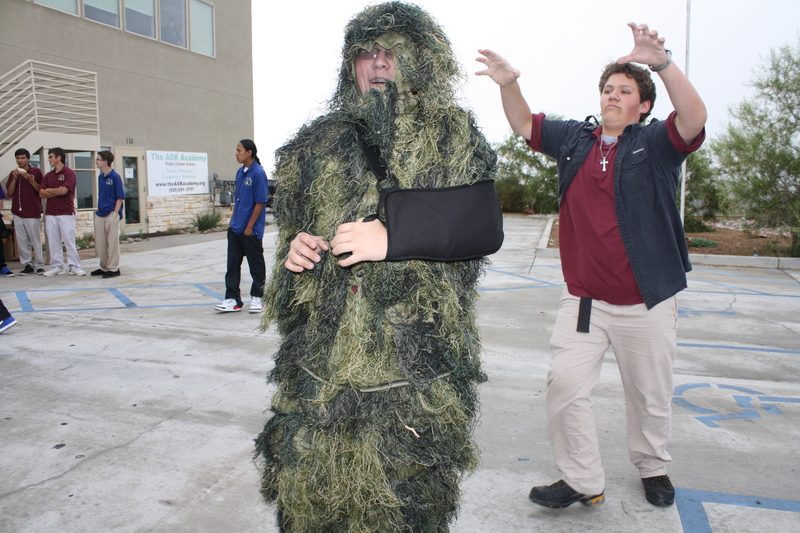 Seniors Austin Reed (left) and JD Gonzalez head to lunch on Thursday. Reed said his costume protected him from the rain. I remember that day, his costume was soaked once Austin was done!